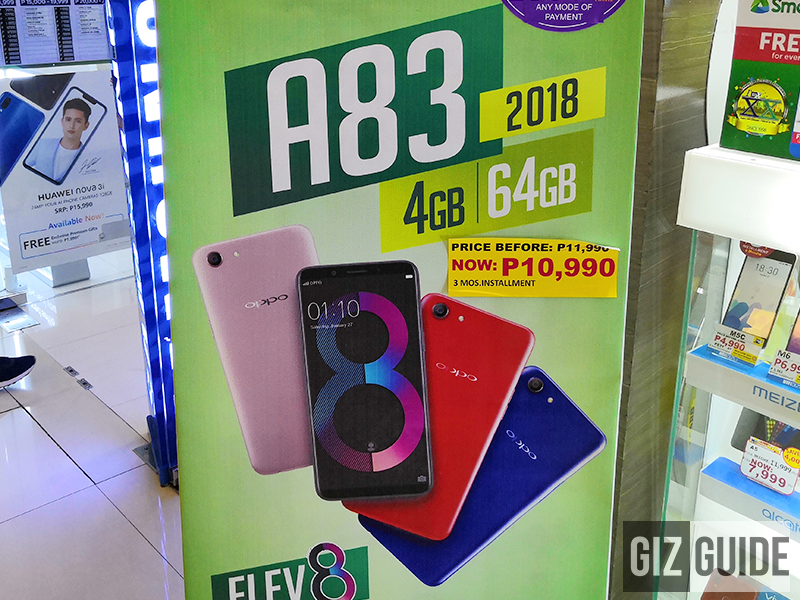 Last April OPPO silently released the A83 2018 with 4GB RAM and 64GB storage in the Philippines. A day ago, we spotted the said device at a slightly more affordable price tag. Basically, this version of the A83 still has the same design, cameras, and most of the specs from the one we reviewed last March. But, it now has bigger 4GB RAM and 64GB ROM coming from just 3GB and 32GB. More RAM means better multitasking and slightly smoother overall experience. More ROM (internal storage) means you can store more files. The OPPO A83 2018 also has two new color options which include red and blue. From PHP 11,990, it is now priced at just PHP 10,990 at MemoXpress stores.